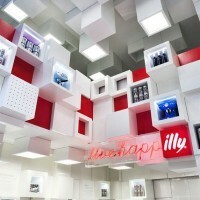 Caterina Tiazzoldi has designed a temporary shop in Milan, Italy for the coffee brand Illy. 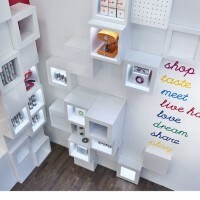 The concept is conceived for a reconfigurable store, characterized by different modulations of a single element, a “cube” which is 45x45cm-squared base. 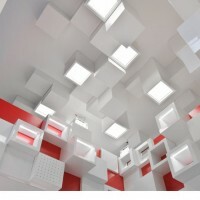 Using a parametric device, it becomes possible to manipulate the cube physical properties by editing depth, thickness, opacity, length and explosions. 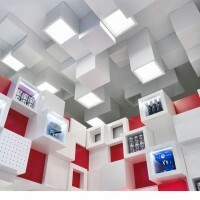 The combinatory logic – inspired by genetic algorithms process – permits to perform over 3000 configurations of the same object. 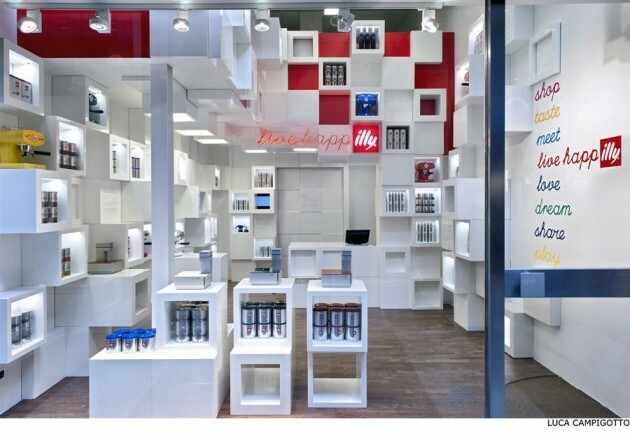 The shop is created by 200 cubes and specifically designed to adapt to different dimensional composition of Illy Café products.The same unit is used for the table, desk counter, storage, lighting system, video frames, communication, and recycling bins. 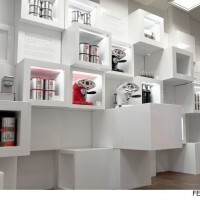 By reconfiguring the different modules according to the performances required, (accessibility of the products from the outside, number of item to display, level of transparency desired, product size) it becomes feasible to represent different characteristics of the Illy products, while the solution also allows fitting it into different locations. 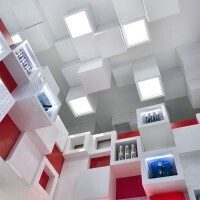 The system engender from the walls and the ceiling, creating a disoriented expansion. 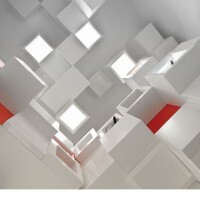 The differentiated space dimensions appears to become one, transforming it into a game where user’s sight shifts from an object to another discovering the inside.